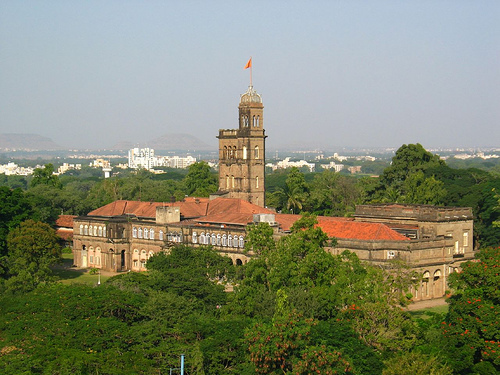 Education: India’s first Prime Minister, Jawahar Lal Nehru termed Pune as “Oxford of the East”. I know many friends and family who did their college in Pune. It has become an education hub now, not only it attracts students from other parts of India but from other countries as well. It is always a bonus to live in an area with good schools like DPS, Bishops, Vibgyor and many others. Haripriya has all these options within few mins drive. Cosmopolitan life: Pune has become a cosmopolitan city due to big influx of IT, Auto/manufacturing crowd. It also houses Southern Command headquarters, majority of the armed personnel prefer to stay here; not only during their working years but retired years as well. The cosmopolitan pockets are spread all over the city. For example, where I live..it feels like mini Delhi. I used to be afraid that not knowing Marathi (local language) will be a problem..but it is not the case. Everybody understands Hindi, one can easily get by not knowing Marathi. Great Outdoors: Surrounded by Western ghats; Mahabaleshwar, Panchgani, Lavasa, Lonavala, Khandala, Mulshi…all are within few hours drive. Spiritual: Osho (spiritual Guru) made Pune famous during last few decades. There are few other renowned missions based here as well, the city continues to attract seekers from all around the world. Why wouldn’t it? The land is tainted with the teachings of some famous saints like Sant Tukaram and Sant Gyaneshwar. This entry was posted in Living & Thriving in India and tagged Asia, India, International Living, Living in India, Maharashtra, Pune on August 12, 2014 by admin.